PRICE REDUCTION - MOTIVATED SELLER RELOCATING! Willing to sell/include furniture & curtains. 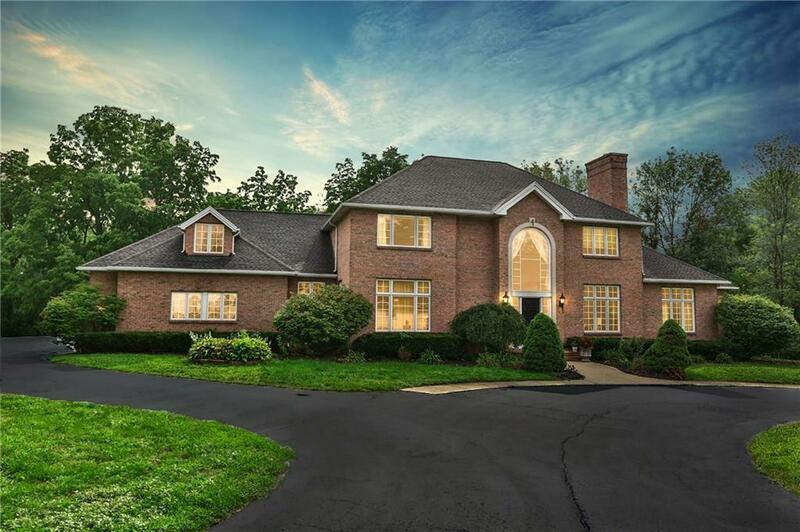 Spectacular 5000 s/f Estate on over 1 ac. of park like serenity in Village of Spencerport. Floor to ceiling windows, custom trim thru out. Great room opens to amazing entertaining friendly chef kitchen. Center island w/cooktop; upgraded appliances. Butler pantry & wet bar. Formal dining room & Living room w/fireplace. 1st Floor master wing w/ his & hers walk in closets, spa bath suite, 1st floor office w/ fireplace. 4 large beds up with jack n jill bath. Add. bonus space above garage ready to be finished. 2 BRAND NEW furnaces. Dual zone heating & cooling. Hot H20 on demand. Ecobee thermostat w/ Alexa. Walk out basement w/ bowling alley! Patio overlooking creek. Fenced yard. 5 car gar. Directions To Property: South Union In Village Of Spencerport To Mill St To Private Bauers Cove.